Focus: To understand why it's important to create your online PT buyer persona and how that will help you get more leads. Face to face clients and online training clients are two very different types of people. In this lesson you'll learn the differences between the two and how to create your buyer persona accordingly. Creating a buyer persona for your face to face PT services is tricky enough. Choosing for an online training client is even harder. But if you understand how online training clients think, you can create a more profitable fitness business. ​Buyer personas are fictional, generalised representations of your ideal clients. They help you understand your clients (and prospective clients) better, and make it easier for you to tailor content to the specific needs, behaviors, and concerns of different groups of people. Let's dive straight in. The main issue personal trainers have with finding an online buyer persona is that they try to target the same types of people as they would for their face to face business. Makes sense when you look at it straight on. They're the type of people who need training. But consider the types of people who are looking for online training services vs. face to face training services. Face to face clients are looking for instruction, expertise, advice and accountability. They usually need to meet you at a certain time so that they can stay consistent with their training. ​Ask any of your clients what one of the best things about having a personal trainer is and one of the top 3 answers will always be; having someone to be accountable to. They'd feel bad if they let you down by not showing up for a session. ​So, why can't you target these people for your online training business? You can, but if you target people who need accountability then you're defeating the purpose of taking your business online and just getting yourself in exactly the same position as you're in with face to face clients. On the other hand, a perfect online training client would NOT be looking for accountability. They'd be looking for all of the other benefits like instruction, expertise, advice and proven systems. An online training client is motivated to go to the gym on their own 3-4 times a week but don't because they struggle to piece together an effective workout or struggle with technique. In other words you're not looking for people who need your time. You're looking for people who need your expertise. And not a generic fitness expertise that anyone can find via a quick Google search. 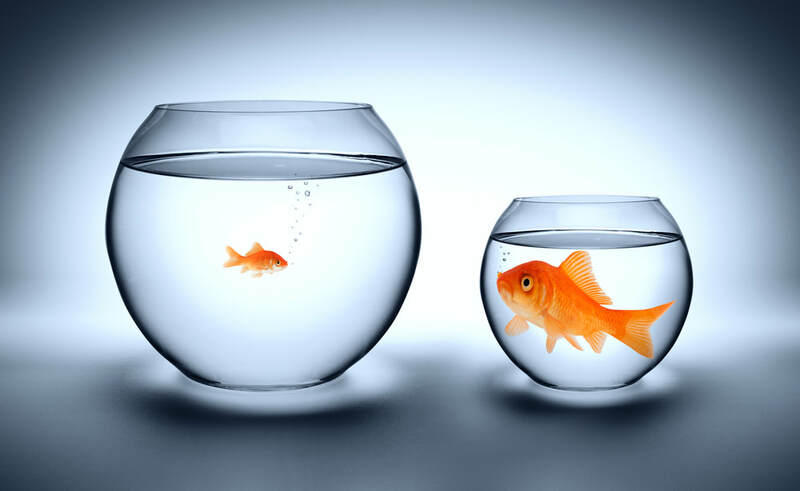 Otherwise you'll be a small fish in a big pond! This means you need to become or position yourself as an expert of something specific so you can become a big fish in a smaller pond. When creating forms to use on your website, use form fields that capture important persona information. Now that we understand the thinking of an ideal online personal training client and how to gather more information about them, we can adapt our own thinking to decide on which buyer persona to target. Because accountability is now off the table and expertise is very much on the table, what do YOU want to be an expert in? ​If you're looking for a bodybuilding prep coach, who would you hire? An online personal trainer, or an online bodybuilding prep coach? It's a no brainer, right? ​While it’s very possible to start an online training business with a generic buyer persona, marketing to that group of people is much more difficult. This is where choosing a demographic to work with comes in to play. Steps 1 and 2 were the easy part. Now we need to assess whether there's a market for your buyer personas. In this step, we need to identify whether people actually want your services. If they don't, why bother creating them. To do this we're going to use one of the most powerful marketing research tools available. In particular, what keywords your audience uses when they research topics related to your buyer persona market, especially searches related to their problems, pain points or deepest desires. Note: A keyword is a word or sentence someone might type in to a Google search bar to find information about a topic. A fun and easy way to start with this is the free Google Adwords Keyword Tool. You can use it to identify the keywords your audience is using to research products, services, solutions, and information related to this niche market. The tool provides lots of useful data related to these keywords (especially if you use this tool while logged into your Google Adwords account) such as local and global search volume, level of competition, average cost per click (CPC) and more. What we want to pay attention when we research industry keywords is the monthly search volume. The higher the search volume, the bigger the market. As a rule of thumb, anything over 100 exact match searches a month is worth looking into. However, there are some niche markets with smaller monthly volume that have profit potential as well, especially if the market is hungry, and there isn’t a lot of competition. Let’s take the female bodybuilding prep market. 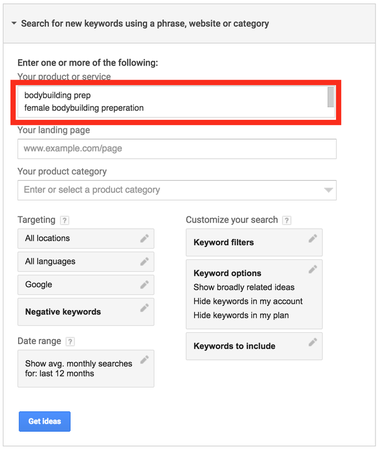 Head to the Google Keyword Planner and select "Search for new keywords using phrases, website or category". And now you'll see a list of related keywords and how often they're searched for on an average monthly basis. ​In this case, there are loads of related keywords that give a strong indication this niche is one worth pursuing. BONUS TIP: Save these keywords for later because you can use them to create blog post and marketing material ideas. That's it. Choosing an online niche is very different to choosing a face to face niche. Taking accountability out of the equation and you have yourself a very different group of people to market to. 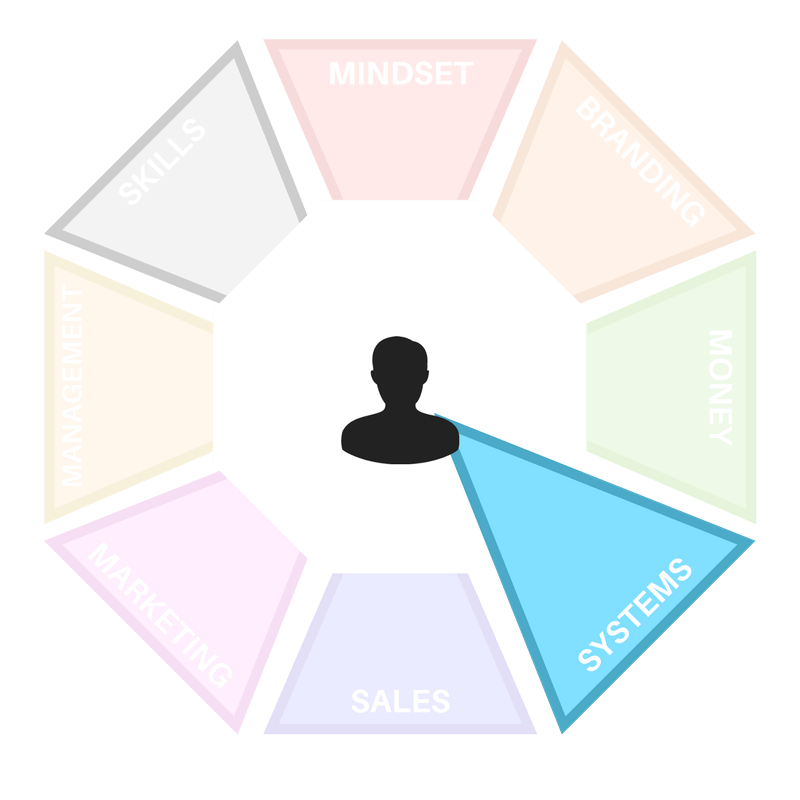 ​Use the Buyer Persona Template to create an in depth persona of your ideal online personal training client. WHAT IF I'M NOT AN EXPERT IN ANYTHING? Not a problem. There are loads of other ways to choose a niche like opting to work with people who have the same goals as you, using your own personal story to success as a marketing tool or simply picking a niche based on a clients interests instead of your own. IF I'M NOT SELLING ACCOUNTABILITY, WHAT AM I SELLING? Accountability is the perfect solution for a face to face client. And some online training clients might need small amounts of accountability too. But the main benefit of working with you online is your expertise. If you sell accountability, you'll go back to trading time for money. 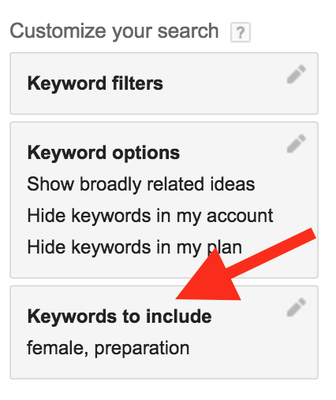 WHAT SHOULD I DO IF I CAN'T USE THE GOOGLE KEYWORD PLANNER? The keyword planner can seem quite technical but once you get the hang of it, it's a powerful tool. If you really can't use it, consider using your existing social reach to create surveys for potential clients to find out of they would be interested in your services.